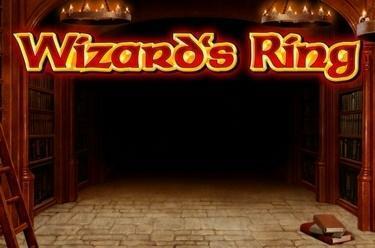 Play Wizard's Ring online for free now! Welcome to a world where wizards and wise scholars have unlimited power over Twists and Jackpots. A world where a small item forged from precious metal can change your fate. A world where wealth is only a symbol combo away! With a little luck you might meet 5 wise wizards in Wizard's Ring who will follow their destiny and richly reward you with Twists! Are you ready for a magical adventure? Your aim in Wizard's Ring: 5 symbols in the right winning order! The winning combos run across 40 line patterns from left to right. Identical symbols have to land along the same winning line consecutively from left to right. As a Scatter the golden ring wins regardless of the line profile and the wizard substitutes for all symbols except Scatter. At least 3 Scatter symbols trigger 15 free games with the settings of the triggering game round. During the free game all wizards are stopped for one round, expand across the entire reel and substitute as Wild symbols for all symbols except Scatter. 3 or more Scatter symbols during free games get you further free games. 20 wizards (5 extended to all reel positions) win the common, progressive jackpot. 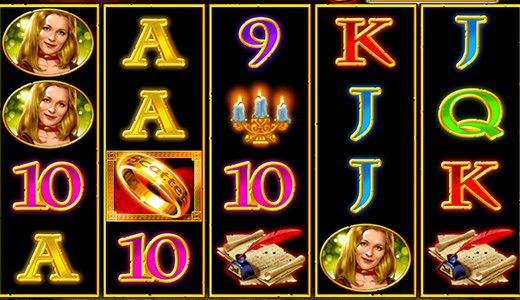 If you bet maximum stakes you win 100% of the jackpot, lower bets win a relevant share of the jackpot.